Beautiful Brick 3 Bedroom 2.5 Bath split open plan home with office. This home features a foyer entrance with hardwood floors, a formal dining room, great room with gas fireplace and brick surround, spacious kitchen with granite counter tops, double oven, stainless appliances, a large master suite with en-suite bath and private patio access, a relaxing Master bath with granite counter tops, double sinks, garden tub, and separate shower with glass enclosure. Entertain on the extended deck over looking the beautiful greens of the golf course. 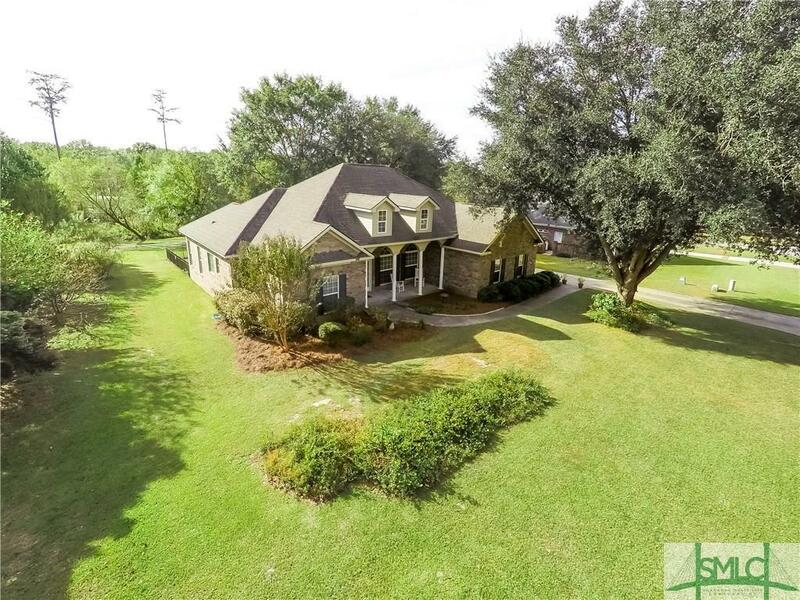 This home is a must see located within 5 minutes of I-16 in the desirable Bryan County School System.